Reports are produced as a result of detailed inspections undertaken in accordance with our regulations – BS7671:2013. The information produced is clear, accurate and well presented, any defects which may be found are coded 1 to 3, where code 1 items require urgent attention, code 3 items while not complying with current standards may not necessarily be unsafe or require rectification. While our testing procedure conforms with the latest edition of BS7671:2013, an electrical system only has to meet with a minimum standard of safety for it to qualify for a Satisfactory Certificate and be suitable for it’s intended purpose such as a rental or house sale. In these circumstances there may be advisory items listed. We will normally provide a competitive quotation for any essential repairs which may be highlighted in a report. Large numbers of Landlords and home buyers are putting themselves, tenants and their properties at risk by not asking for an electrical survey, and are potentially facing huge electrical costs. 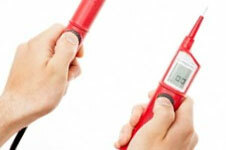 Most buyers assume that a property survey covers electrics, but in fact it doesn’t. Many owners consider surveys to be a formality rather than a vital investigation into whether a property is sound or not. With the average completion time for a house purchase being just nine weeks, it’s not surprising that some new home owners are missing vital information on the state of their new property. The Landlord and Tenant Act states that a landlord “shall maintain services of electricity in a satisfactory condition” ie. safe. Many insurers are aware of this and any claim may be compromised if evidence of electrical safety can not be produced. An electrical inspection costs around £115, whereas it can cost up to £4,000 to rewire a house. The most common problems discovered during inspections are loose connections, timber fuse boards, sockets on skirtings, defective insulation all of which can can lead to fires and electric shocks. According to Government figures, around 10% of domestic fires are electrical, and of these, a third are directly due to old or bad wiring. This equates to over 2,000 electric shock accidents and 9,300 electrical fires in homes every year. Nearly 40% of homes in Britain date back to before 1945, making it crucial for homeowners to check the condition of their electrics. 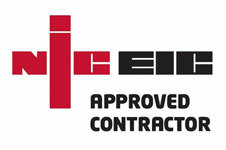 The NICEIC recommends that home electrical systems are tested on a change of occupancy or at least every ten years. 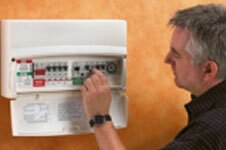 See our Rewiring page for more details on how to check whether your home needs rewiring. Bailey & Birch can issue you with an Inspection Report on the status of your electrical system. To conform with the current legislation.